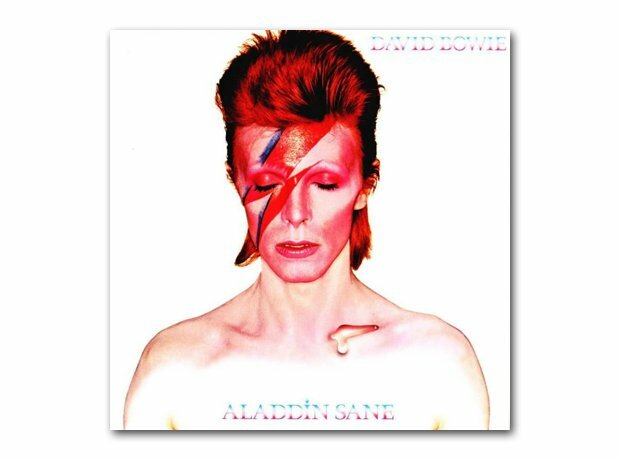 David Bowie was a huge style icon and his 'Aladdin Sane' album cover is one of the greats. Having killed off Ziggy Stardust, Bowie created a new persona for this epic 1973 album, which included The Jean Genie and Drive-In Saturday. After winning the Eurovision Song Contest in 1974 with 'Waterloo', ABBA became one of the biggest bands of the 1970s. And they had bizarre outfits. 'Saturday Night Fever' gripped the globe in 1977, as people worldwide aped John Travolta's dancing. The Bee Gees' soundtrack would go on to become one of the biggest selling records of all time. Giorgio Moroder produced Donna Summer's 1977 single 'I Feel Love' and defined the sound of electronic dance music. After becoming the youngest man to ever win Wimbledon at the age of 20 in 1976, Bjorn Borg began a five year winning streak at the tournament, not losing a match until 1981. 1972 movie 'Cabaret' still holds the record for most Oscars in a single year without winning Best Picture. Liza Minelli won Best Actress for her role as Sally Bowles. A young Michael Jackson performs live on stage with the Jackson 5 in 1974. Five years later, he'd release solo LP 'Off The Wall', and he'd become more famous than any pop star had ever been. Martial arts star Bruce Lee strikes a pose. Starring in classic films such as 'Fist Of Fury' and 'Way Of The Dragon', Lee transcended martial arts and became one of the most iconic figures of the early 1970s, before his untimely passing in 1973. The band celebrate getting a star on the Hollywood Walk of Fame in 1979. Their 1977 album 'Rumours' is still one of the best selling albums ever. 'The King' became notorious for his extravagant cowboy costumes during his LA shows in the 1970s. He passed away in 1977. Richard Nixon becomes the first president in American history to resign as President. His resignation came followed 'Watergate', after an approval of an impeachment article against him by the House Judiciary Committee for withholding evidence. His successor, President Ford, fully pardoned Nixon one month later.